Welcome to My Claim Funds. We are sorry you have suffered a loss against your property. At this point, you will have most likely filed an insurance claim. Claim funds received are intended to be used to repair your property. Our goal is to make this process as easy as possible. This site is designed to assist with communicating necessary information regarding repairs made to the property, which will allow the release of insurance funds. FEDERAL LAW REQUIRES THAT WE ADVISE YOU THAT WE ARE A DEBT COLLECTOR ATTEMPTING TO COLLECT A DEBT. ANY INFORMATION OBTAINED MAY BE USED FOR THAT PURPOSE. IF YOU OR YOUR MORTGAGE LOAN ARE SUBJECT TO PENDING BANKRUPTCY PROCEDURES, OR IF YOU RECEIVED A BANKRUPTCY DISCHARGE, INFORMATION COMMUNICATED VIA THIS WEBSITE IS FOR INFORMATIONAL PURPOSES ONLY AND NOT AN ATTEMPT TO COLLECT A DEBT. 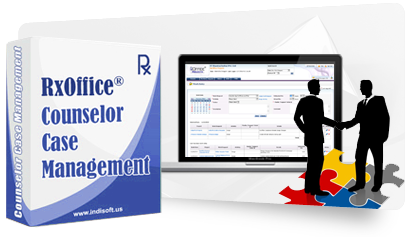 RxOffice® CMS makes available full RxOffice® CMS and Document Management features to Counseling organizations, enabling Counselors to assist homeowners with debt counseling, communication and integration information exchange with participating Servicers.